The Elf Family Holiday Ornament - Customize it!! To guarantee Christmas Delivery, orders must be placed by December 1, 2018. If it is after this date, send me an inquiry and I will let you know if I can get it to you by Christmas. 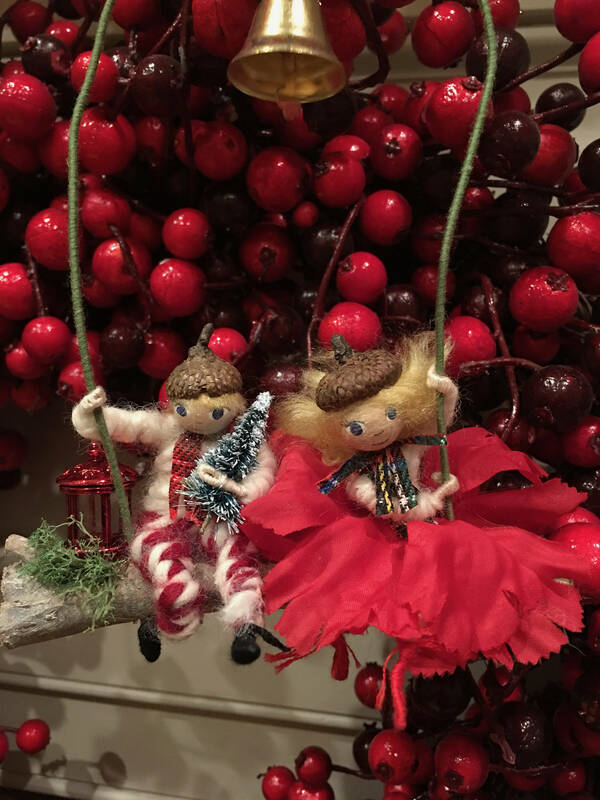 What could be cuter than a group of miniature elves on a swing, hanging from your tree? When the elves look like your kids! Introducing a personal, adorable gift or family keepsake that will make you smile; The Elf Family Ornament! 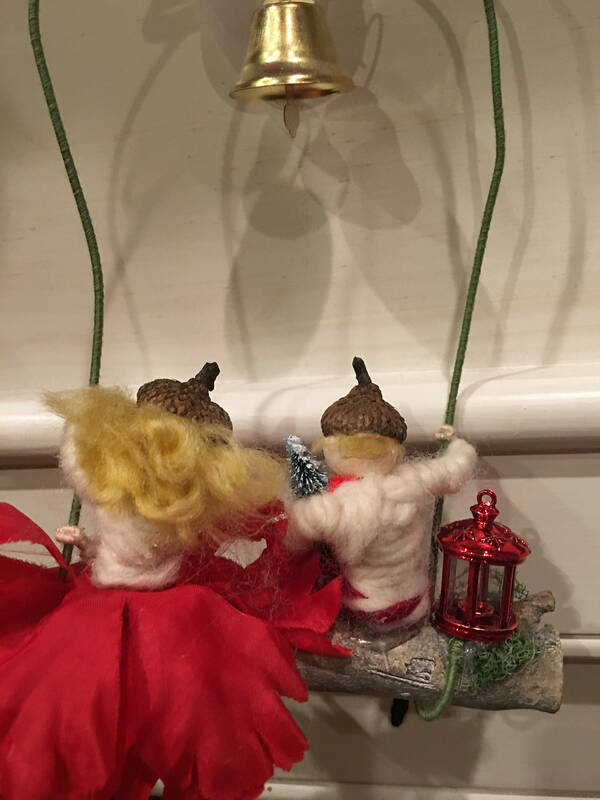 Send me the information for up to five children (hair color, skin color, eye color & ages), and I will create a one-of-a-kind family Christmas or Hanukkah Ornament with your children’s very own elf twins on the swing! 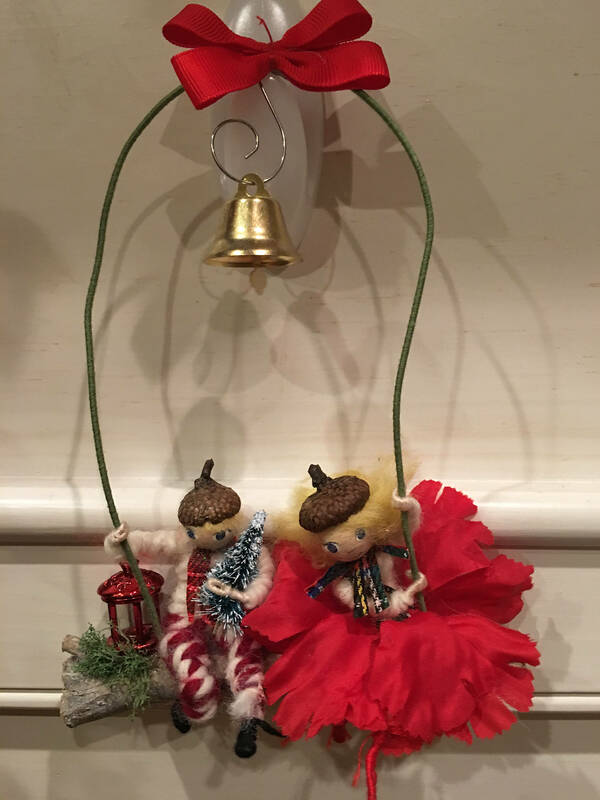 The Christmas Ornament will have the elves, a tiny Christmas Tree and a Christmas Bell (plus any special requests I am able to honor). The Hanukkah Ornament will have the elves on a swing under a blue and silver Star of David (plus any special requests I am able to honor). This is a great idea not just for siblings but for cousins or best friends as well! Great gift for Grandma, Dad or favorite Aunt or Uncle! Remember, in addition to checking off the relevant information on the pull down menu, and providing me with the gender, hair color, eye color and skin color of each elf, please provide me with any small details that will help to personalize the item (freckles, glasses, perhaps the baby always holds a blankie, etc.). Also, DON’T FORGET THE AGES so I can make sure the elves are the right sizes!